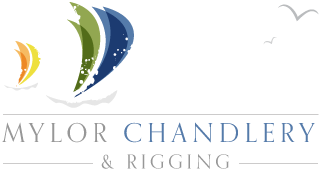 If any item you receive from us arrives damaged, please contact us as soon as possible on 01326 375 482 or by email at support@mylorchandlery.co.uk. We will then advise you on the best course of action. In most cases we will ask you to return the item to us for an exchange or refund. In most cases we will refund the cost of posting the item back to us./Unfortunately we cannot refund your postage costs when you return an item to us that is either not required, or is the wrong size or colour.